Hunting shack organizer with room for five firearms. 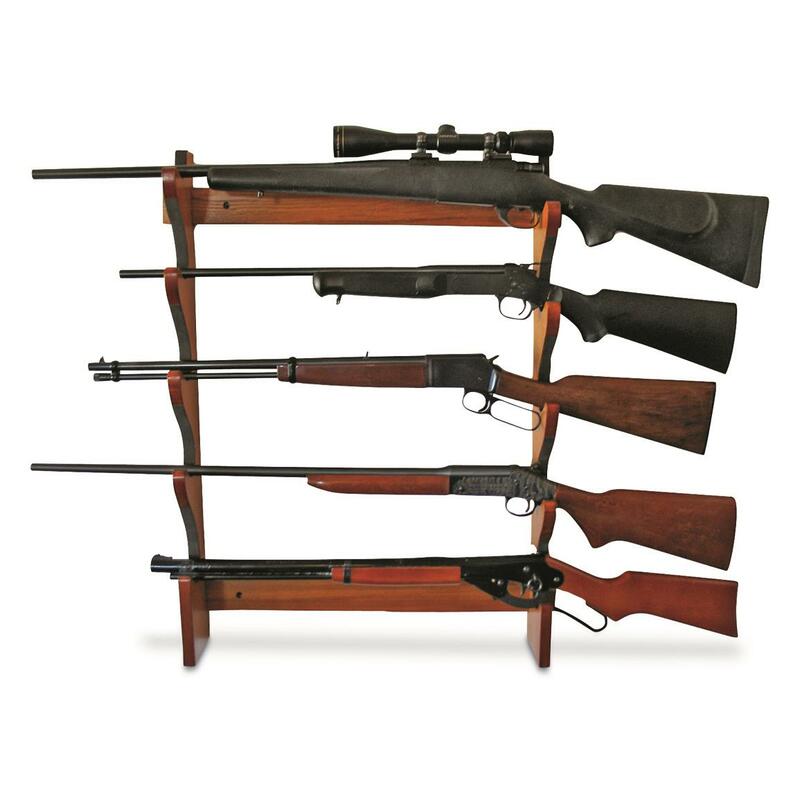 Give your firearm a spot to hang at the end of the day with this Organized Hunting 5 Gun Rack. Even the most rustic deer camp will benefit from having a convenient spot to store your firearms after you've cleaned and oiled them. 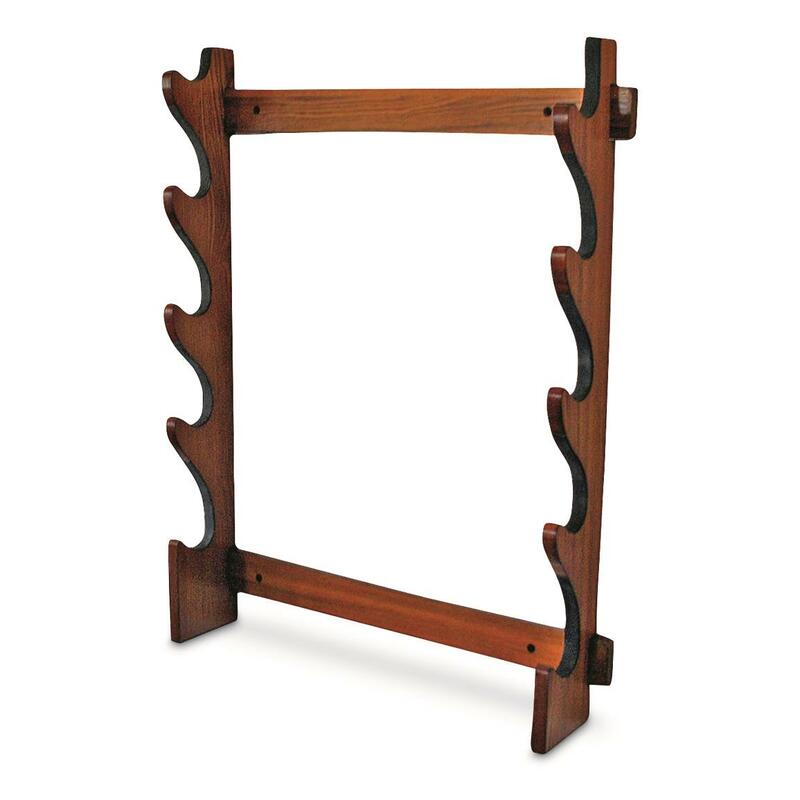 Wooden construction has slots lined with felt that securely holds five firearms. Easily mounts on your wall and holds bolt action rifles, pump, automatic or double barrel shotguns. Measures 30" x 24" x 4.5". Dimensions: 30" x 24" x 4.5" d.